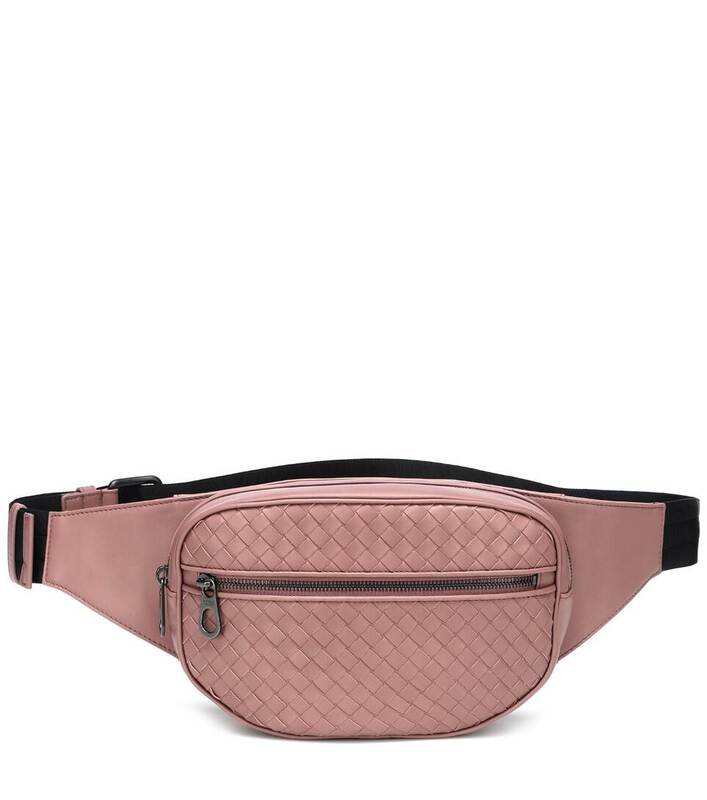 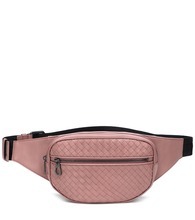 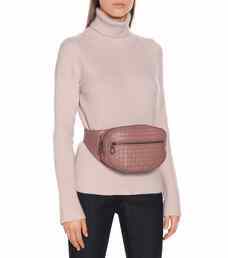 Bottega Veneta infuses their iconic style into the belt bag with this leather version woven with the Intrecciato pattern. 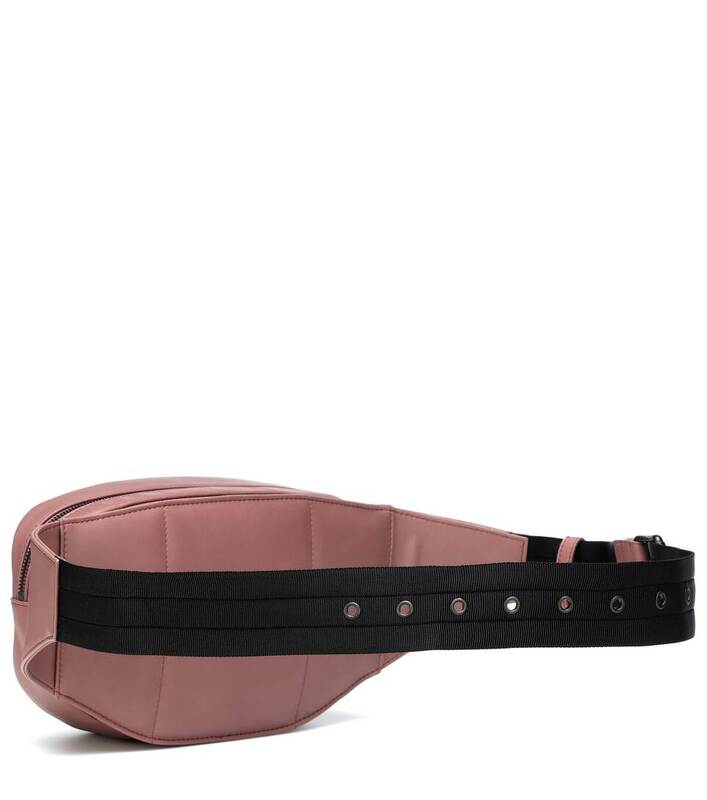 Crafted in Italy from smooth pink nappa leather, it is finished with an ergonomic nylon belt for comfortable wear. 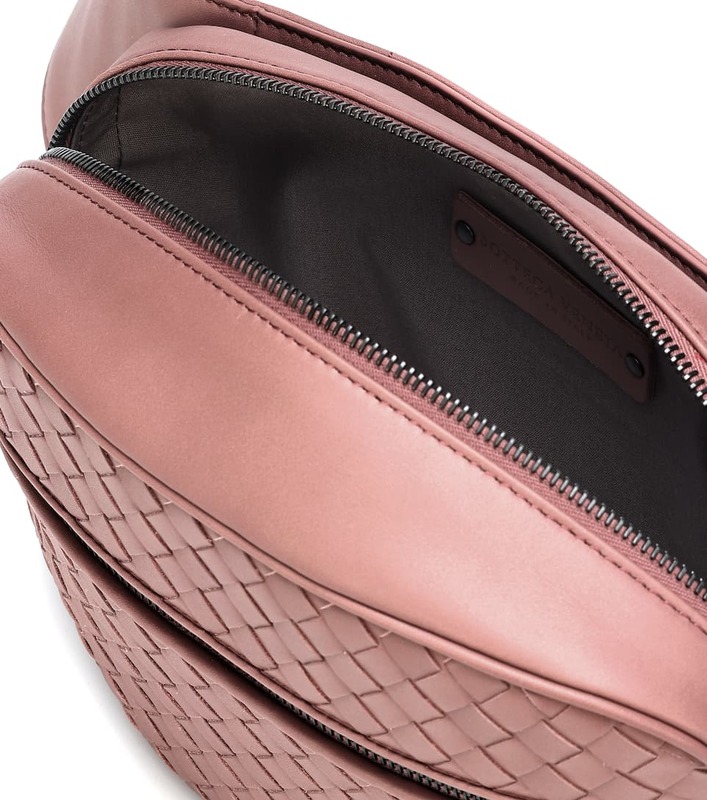 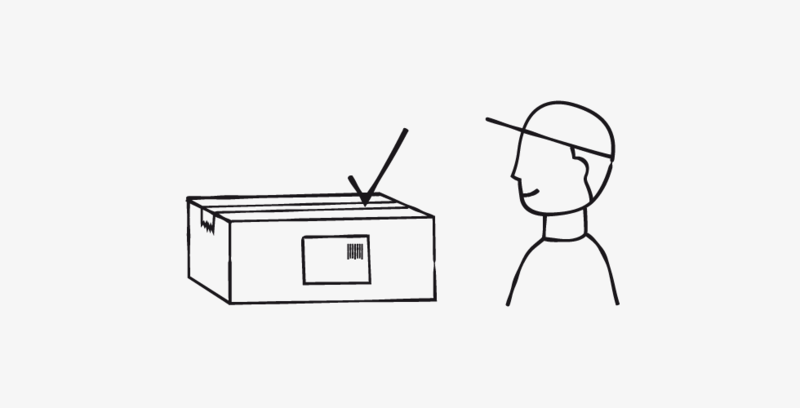 On the interior lies a smartphone pocket, perfect for the woman on the go.